and enjoying the beginning of 2019!! If you are like me, you may be looking for a little guidance in this shiny new year. One of the ways that I am reflecting and gearing up for 2019 is by reading some incredible memoirs. Whenever I am looking for a little push to keep moving forward I will pick up a memoir. I really does help to take my problems and put them into perspective. 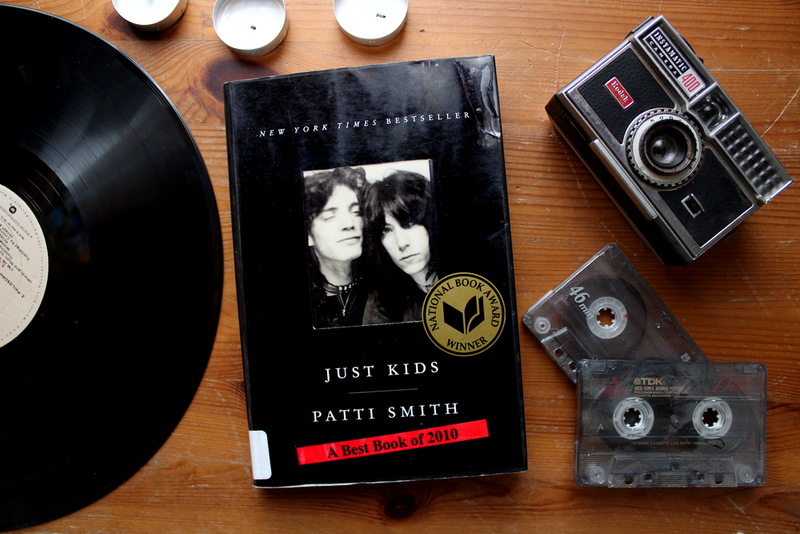 I have to admit that I am not really a fan of Patti Smith’s music although I recognize the road she paved for female performers. She is a force that I didn’t really appreciate until I read her first memoir Just Kids. I love this book. It chronicles Smith’s early years in New York City’s art scene. She is a struggling poet/visual artist and her life is dramatically altered when she meets Robert Mapplethorpe. If you are not familiar with Mapplethrope’s photographs Google him. He was a phenomenal human whose questions on sexuality and identity have influenced generations. complicated time in New York City. In 1969, Mapplethorpe and Smith move into the Chelsea Hotel and become a part of the sensational history there. NYC was exploding with rock and roll, art, politics and sexuality. It is beautiful (if not heartbreaking) to read the pure devotion Smith had for the time, the place and for Mapplethorpe. This book will tear you a part and inspire you to have the deepest relationships. The type of friendships that will break you but ultimately, make you feel as human as possible. David Small is quite the illustrator. His children’s book Imogene’s Antlers was one of my favorites growing up. His picture books are so delightful that it is difficult to imagine the horrible childhood he survived. Now that I am a parent, I cannot fathom the abuse his parents put him through. The unbelievable sadness of David Small’s childhood is brought to a dismal reality in this stark graphic novel. I read this book in 45 minutes and was shaking like a leaf. Small shows incredible forgiveness for his unloving parents and by the end you realize just how far a person can be lead into pure darkness. I am a huge fan of David Sedaris and have read all of his books. I have gone to his shows, book signings and have even youtubed his late night interviews…he’s just so funny! Imagine my surprise when I finished his most recent book and realized it was his best work yet! 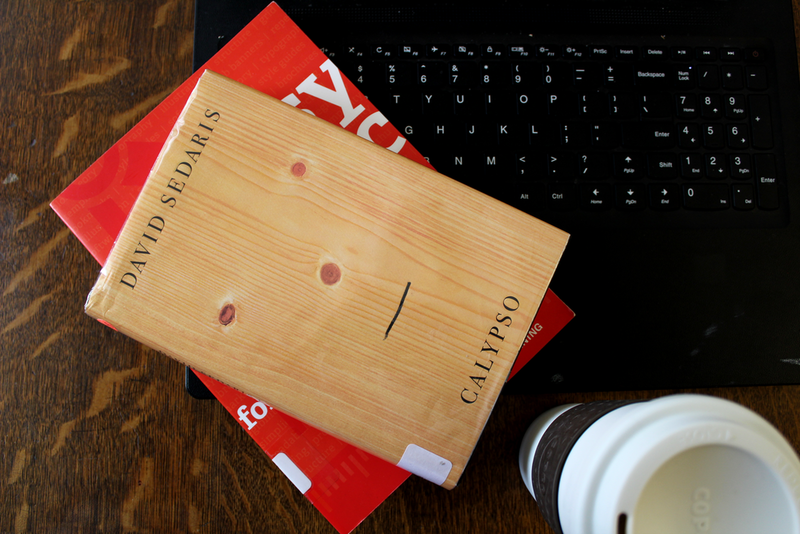 Sedaris has always had the ability to witness humankind with wonder but Calypso is also, (somehow) so much more. Maybe it is because Sedaris is getting a little older? Maybe it is because I am getting a little older? Whatever the reason, Calypso is tender in a way that he has always touched on but never fully explored. While reading Calypso there were moments when I was weeping and laughing simultaneously! When I started reading this memoir, I was amazed at Cahalan’s success. At the beginning she is a young reporter making a career at The New York Post. She has a nice apartment, good friends…the first couple of pages describe what hundreds of 20 somethings wish for. Of course, her story takes a horrible turn when she starts getting headaches, then mood swings, her body hurts and then goes numb. Her detailed account of her month of hospitalization is a terrifying glimpse into the severity of misdiagnosis. Every word is written as if Cahalan is sitting next to the reader recounting the terror and confusion and we are forced to sit frozen, mouths open… waiting for a happy ending. I know, I know, I have mentioned Murakami about a BILLION times but if you are unfamiliar with his writing this memoir is a quick and beautiful read. 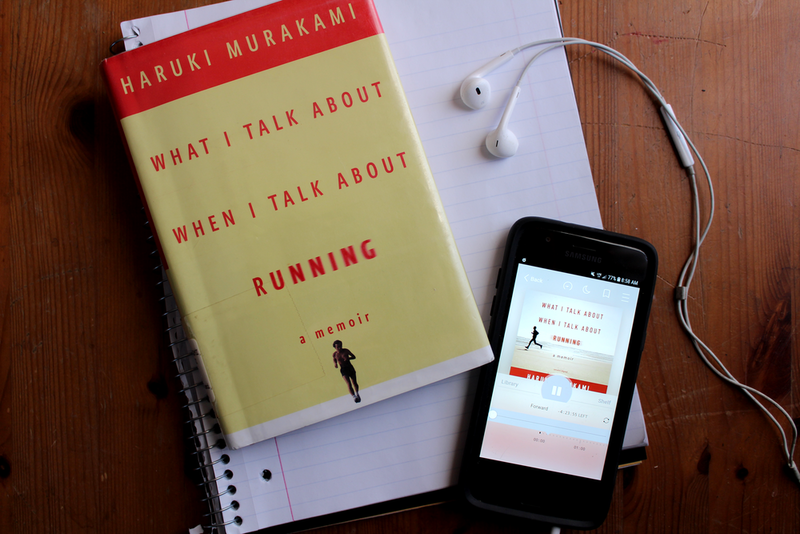 One can rightly assume that this book is about his experiences with long distance running but it is so much more than that. His reflections touch on everything from the choices he’s made, his routines and his philosophy on how to live a modest yet successful life. Every page holds a passage that gives me goosebumps. “Naturally, there are people in the world (only a handful, for sure) blessed with enormous talent that, from beginning to end, doesn’t fade, and whose works are always of the highest quality. These fortunate few have a water vein that never dries up, no matter how much they tap into it. For literature, this is something to be thankful for. It is hard to imagine the history of literature without Shakespeare, Balzac and Dickens. But the giants are, in the end, giants-exceptional legendary figures. The remaining majority of writers who can’t reach such heights (including me, of course) have to supplement what is missing from their store of talent through whatever means they can. Otherwise it’s impossible for them to keep on writing novels of any value. The methods and directions a writer takes in order to supplement himself becomes part of that writers individuality, what makes him special.” Page 81, First United States Edition. I could go on and on! There are so many beautiful memoirs out there! Are there any you would add to this list? Thanks for checking in! Happy New Year! Let’s Loiter and Learn Something.